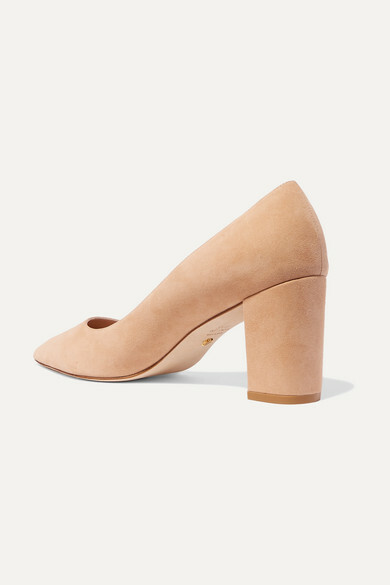 Stuart Weitzman's 'Laney' pumps are classic yet completely on trend for Spring '19 thanks to the neutral hue. 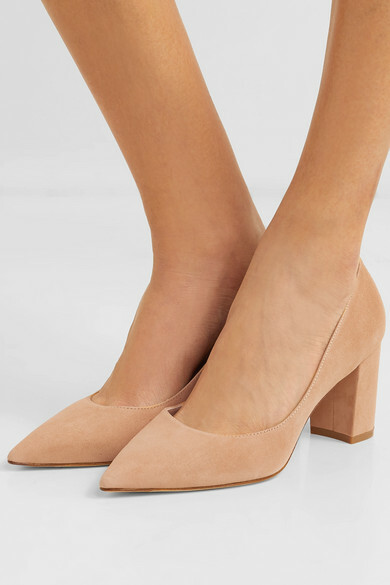 They've been made in Spain from suede and are set on a sturdy block heel. 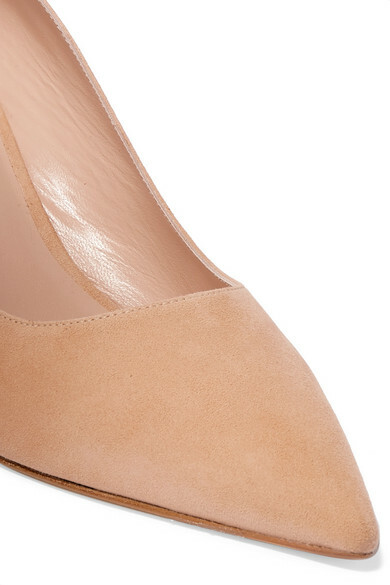 Wear them with everything from beige or caramel tailoring to cropped jeans. 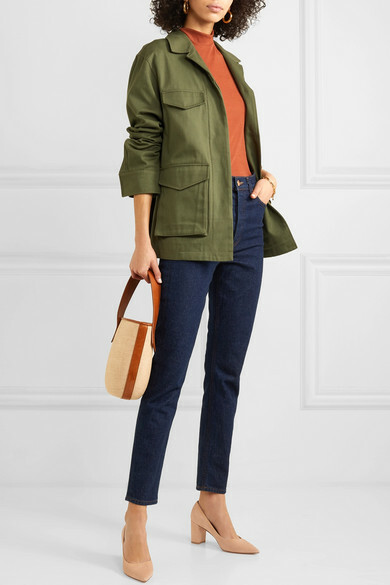 Shown here with: REJINA PYO Top, Totême Jacket, Goldsign Jeans, TL-180 Shoulder bag.